Re-Take That are quite simply the biggest, best and most authentic tribute to one of the biggest British pop acts in history. 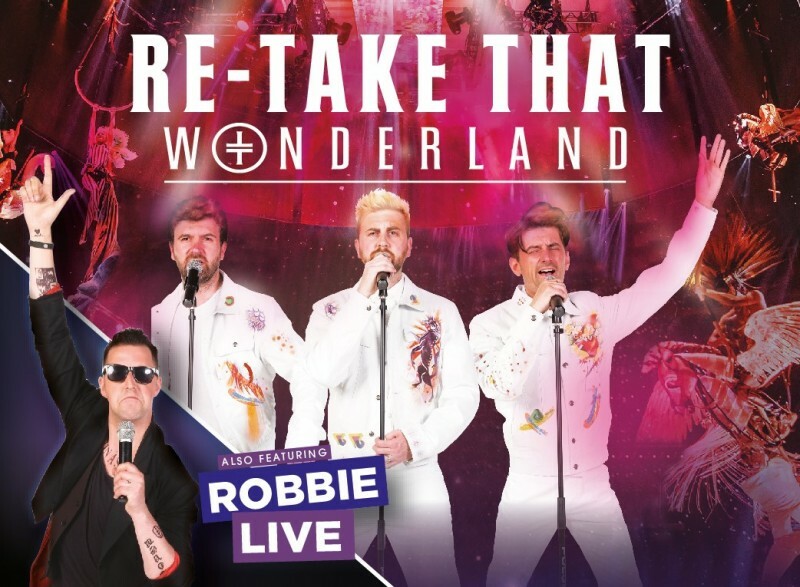 Celebrating 10 years as the nations favourite tribute show with the incredible new Wonderland Show featuring Robbie Live. Performing all of the favourites from the 90's right through to the latest hits including Greatest Day, Back for Good, Relight my Fire, Giants, New Day, Shine, The Flood, Never Forget and These Days. Whilst Robbie Live will be performing all the classics including, Let Me Entertain You, Candy, Heavy Entertainment Show, Angels and more. With their non-stop, breathtaking spectacle to entertain fans of all ages, this thrilling concert will make sure that the audience will Never Forget this night!